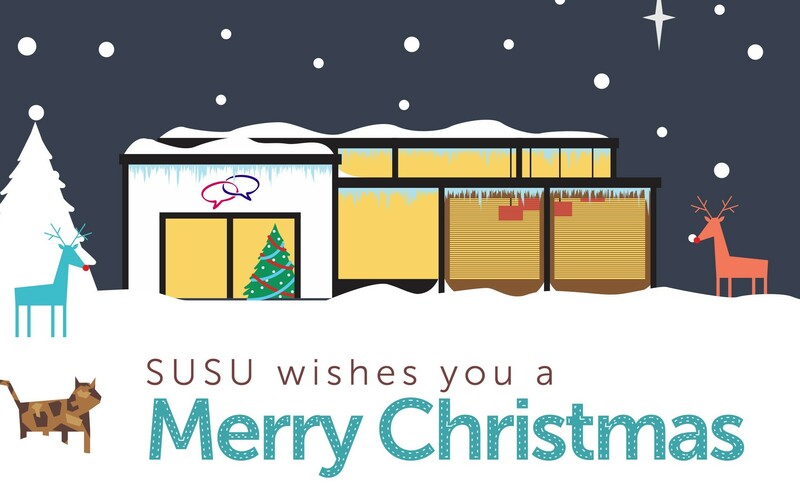 The University will be closed from 21st December 2012 until 2nd January 2013, which includes SUSU buildings and facilities. 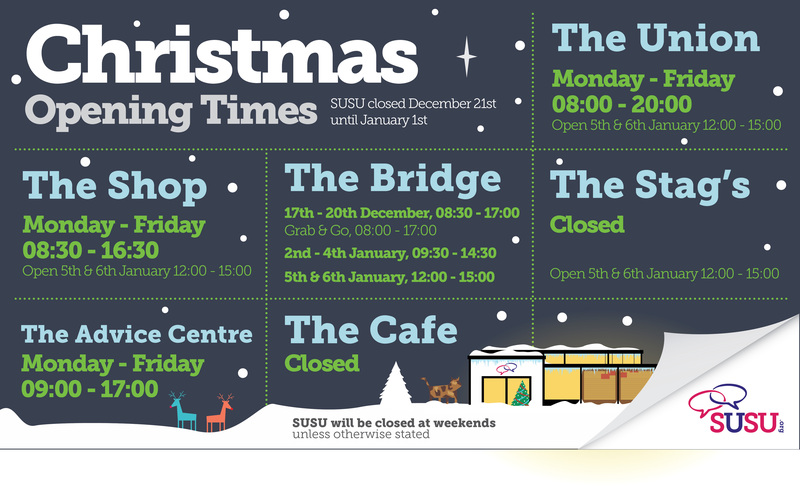 Take a look at full details of our Christmas vacation opening hours below. 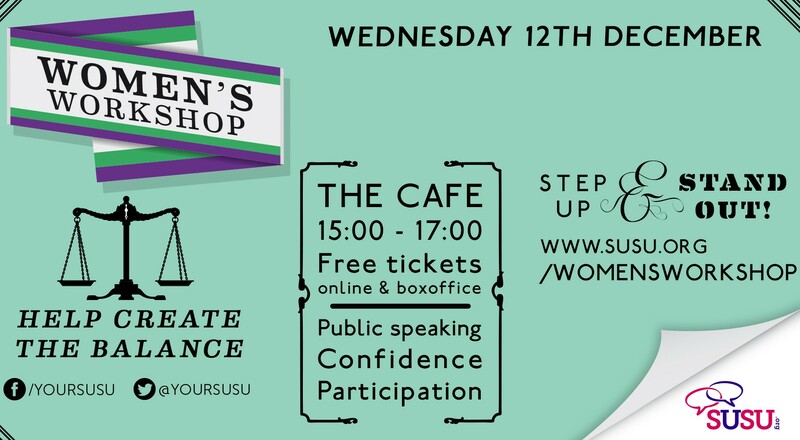 This Wednesday we’re running a FREE Women’s Workshop in The Café (Building 42, Highfield campus) between 3pm and 5pm. With 54% of students at the University of Southampton female, it’s disappointing that this is not reflected in the elected officers at SUSU and that women at the University of Southampton are therefore under represented in the students’ union. 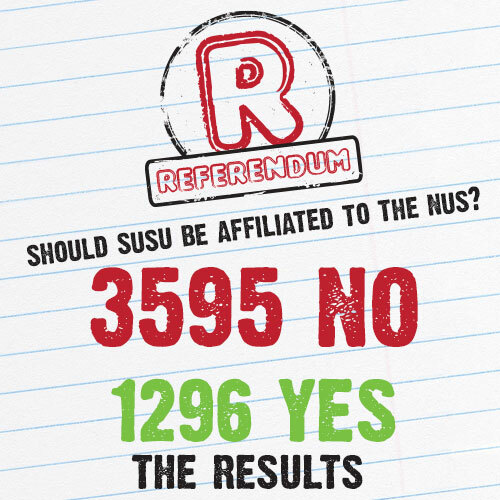 The results have now been announced for the 2012 Referendum on “Should SUSU be affiliated to the NUS?” which was held on December 6th. It’s no secret that our Friday Nights haven’t been doing as well as we’d hoped, so we’ve decided to put them on hold until the new year. This means that the Ministry of Sound’s XXXmas will not be going ahead on 7 December. We’ll be back next term with a new programme of events, but we need to get it right and put on the kind of events that you want to attend. This is where we really need your help. Voting will open at midnight on Thursday 6 December, and will close on the same day at 6pm. 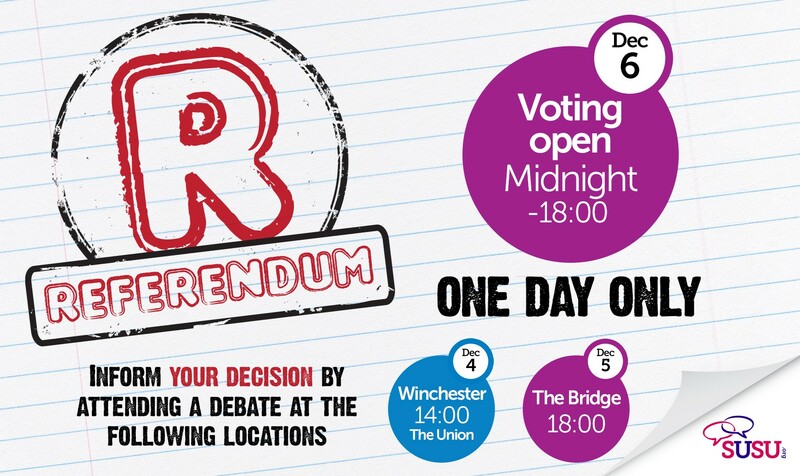 This gives all students at the University of Southampton just one day to vote, and the results will be announced on the same day at 8pm in Bar 3 (Building 42).